It's pretty easy to find out if there are American Marten in the area in the winter, their tracks are hard to hide in the snow. But coming across one is less likely and getting a half decent picture of them even less. 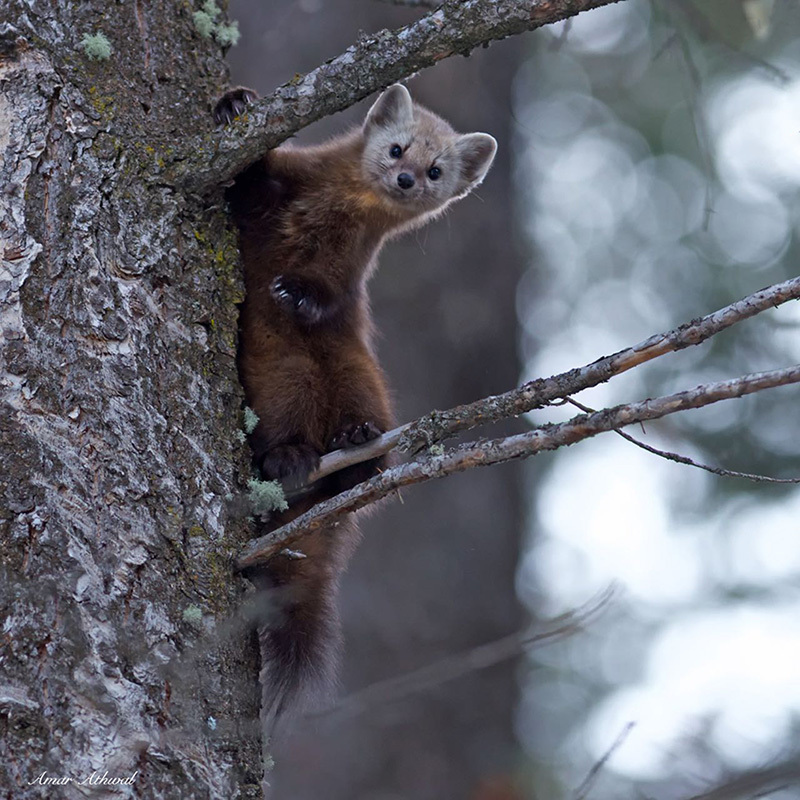 We first saw this marten cross a side road, then I quickly spotted it up a tree. If you give them space, they will provided plenty of photo opportunity as they make their way down to the ground and continue their journey looking for food.